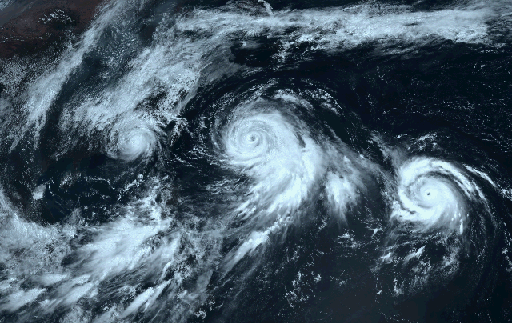 Three Typhoons head west toward Asia. 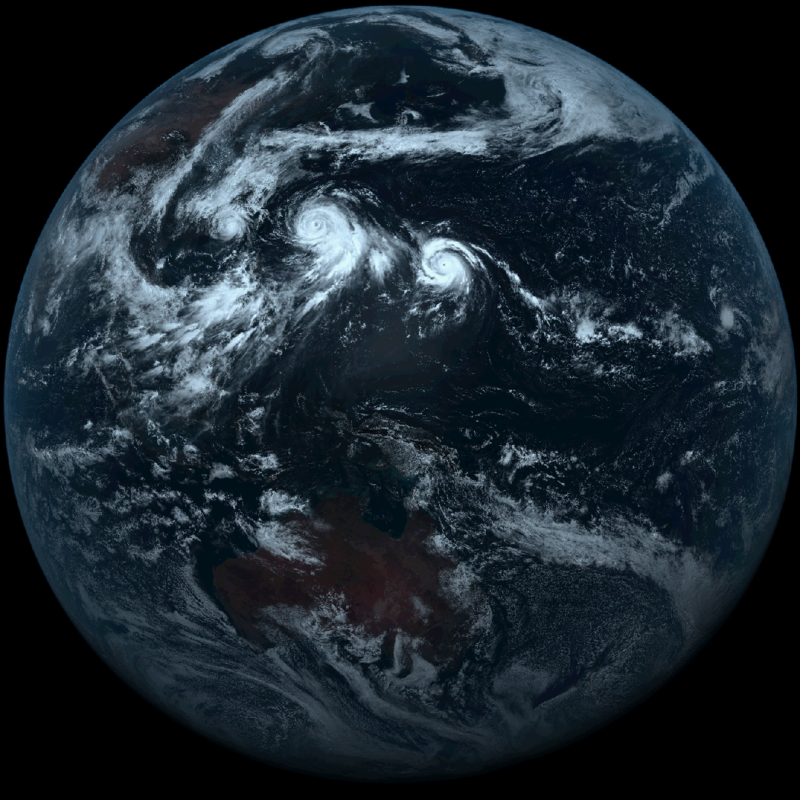 The following images were created from the newly operational Japanese satellite, Himawari-8. It has many channels, and with three at visible wavelengths, we can create wonderful true color images. This is the full disk that the satellite views. Imagery from this satellite could soon be in CycloneCenter.org, so head on over and make some more classifications.